The Board of Education Burnaby School District ‘International Education’ program is based in Burnaby BC Canada. Burnaby is part of the ‘Metro Vancouver Regional District‘ (MVRD). The City of Burnaby is surrounded by the City of Vancouver to the east, the City of Richmond and New Westminster to the south, and the ‘Tri-Cities’ of Coquitlam, Port Coquitlam, and Port Moody on the western border. Burnaby is located in the geographical centre of Greater Vancouver. It is the third most populated urban centre in British Columbia with a population of about 203,000. 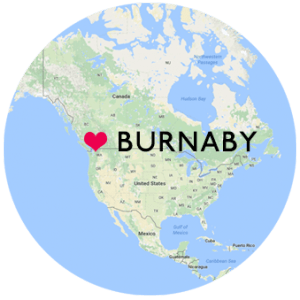 View this Video to Learn More About Burnaby! Burnaby has a mild climate, not too hot in the summer and seldom sees snow in the winter. Burnaby offers the best in urban and residential living. Known as the City of Parks, 25% of the City is dedicated to green space. While Burnaby has a few high-density residential areas, there are also many large, spacious neighbourhoods. Burnaby was recently named Canada’s best-run city by Maclean’s magazine. and many biking and walking trails. » Learn more at the City of Burnaby‘s website. » Learn more at the Tourism Burnaby‘s website. » Discover Burnaby Community Links. British Columbia is Canada’s westernmost province and is set between the Pacific Ocean in the west and the magnificent Rocky Mountains in the east. It has a population of about 4.5 million. The capital city is Victoria while the largest city is Vancouver. Greater Vancouver has a population of about 2 million and is the third largest metropolitan area in Canada. 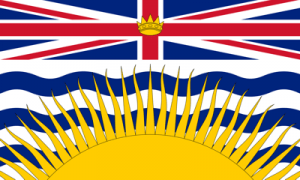 View This Video to Learn More About British Columbia! BC is home to a geographical diversity that lends itself to a vast array of activities and adventures. There are mountains, rivers, beaches, forests, parks and lakes. BC is home to breathtaking scenery. It is the only province in Canada where you can ski and golf in the same day! 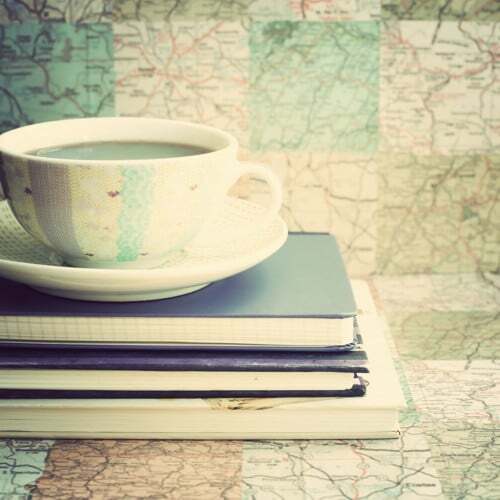 There are mountains to ski, climb, and bike on, oceans to swim in and sail on, beaches to play and relax on, forests trails to hike, parks to stroll and warm summer lakes to swim and picnic by. The province generally enjoys a temperate climate but where there are mountains, there is snow. The province of British Columbia enjoys the most temperate climate in Canada with temperatures ranging from 20 to 30 degrees Celsius in the summer to 0 to 10 degrees Celsius in the winter. Famous for its world-class skiing terrain, BC hosted the Vancouver 2010 Olympic Winter Games. BC has a cosmopolitan culture, world-class exhibitions, excellent shopping and fabulous dining. From sophisticated cities to breathtaking scenery, there is something for everyone in BC. Natural resources such as fish, minerals, hydro-electricity and timber have traditionally been the strength of BC’s economy; however, as these industries have slowed, newer industries such as tourism, film and high technology are now as important to the economy. » Learn more about British Columbia. Canada has been named by the United Nations as the best place in the world to live more times than any other country. Canada is well known for its high standard of living, quality health care, clean and safe environment, and peaceful communities. Canada’s education system ranks amongst the best in the world and, above all, in native English-speaking countries. Canada is the world’s second largest country. Its border with the United States to the south is the longest in the world. Canada’s population is over 34,000,000. View This Video to Get to Know Canada! 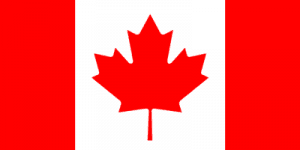 Canada is a democratic federation consisting of 10 provinces and 3 territories. It is a bilingual country with both English and French as official languages at the federal level. However, English is spoken more prevalently across all of Canada except in the Province of Quebec. Because Canada is a country of immigrants, over 6,000,000 people in Canada list a non-official language as their mother tongue. Some of the most common non-official languages include Chinese, Italian, German, Punjabi and Spanish. One of the world’s most highly developed countries, Canada has a diversified economy based mainly upon its abundant natural resources and upon trade, particularly with the United States. Burnaby typically experiences a fairly mild climate throughout the year compared to the rest of Canada. This results in spectacular greenery and beautiful urban scenery. Burnaby often experiences wet rather than snowy weather in winter. Since Burnaby is located near sea level, snow often doesn’t accumulate unlike the alpine mountains surrounding Great Vancouver. Burnaby typically experiences warm and breezy weather from June to mid-September. Explore Burnaby’s location with this interactive map. Burnaby, British Columbia is a culturally diverse destination city unlike any other. Situated close to Vancouver, Burnaby offers visitors a multitude of things to do, events to attend, places to see, and delicious dining options. Not to mention, comfortable accommodations to stay at with breathtaking views. Getting to Burnaby, BC from wherever you are, can usually take one of three modes of transportation – car, plane, and ferry, as detailed below. Vancouver International Airport (YVR) has been once again rated the top airport in the world. As Canada’s second busiest airport, YVR welcomes over 19+ million people annually and is a quick 25 minutes from Burnaby by car or taxi. Please note, while the Vancouver International Airport is the most popular airport and closest to Burnaby, there are other regional airports in the area. View This Video to Get to Know YVR Airport! Centrally located in Metro Vancouver, Burnaby is easily accessible via most major highways and roadways including Trans-Canada Hwy/BC-1 E, Lougheed Highway (BC-7), Barnet Highway, West Hastings Street, East 1st Avenue, and Marine Drive (Vancouver). Driving by car will allow you to enjoy the natural beauty of Metro Vancouver, and the Province of British Columbia. BC Ferries operates one of the largest, most sophisticated ferry systems in the world, with 35 vessels and up to 47 ports. If you’re coming from Vancouver Island, Burnaby is roughly 45 minutes from Tsawwassen Ferry Terminal by car via BC-17 and BC-1A W/BC-99A N, and roughly 30 minutes by car from Horseshoe Bay Ferry Terminal via Trans-Canada Hwy/BC-1 E. Enjoying a ferry ride from Vancouver Island, with fresh air and beautiful scenery, is just the perfect way to arrive at Burnaby, BC. Once you arrive, you’ll find easy access to navigate the area with Burnaby’s public transportation options.